Generally, I am more inclined toward a stripe than to a dot. But . . . 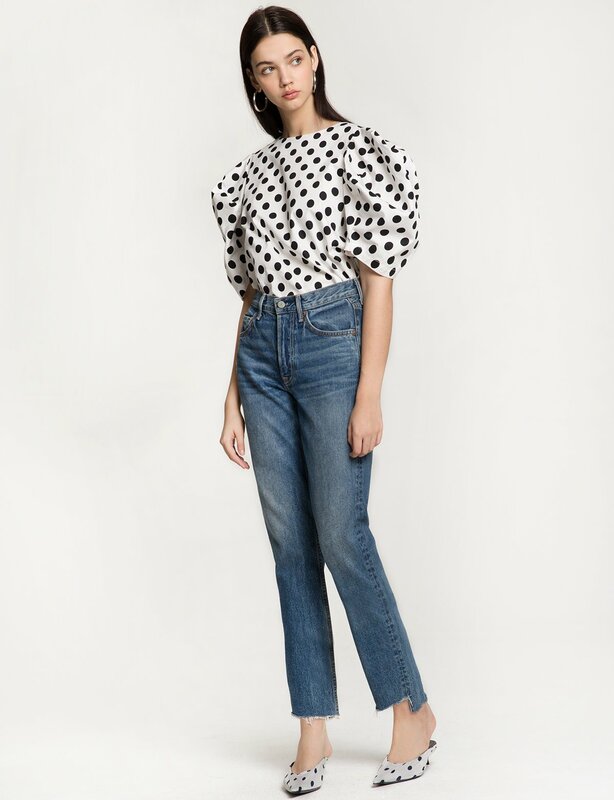 I find the black and white polka dot explosion for Spring/Summer 2018 irresistible. 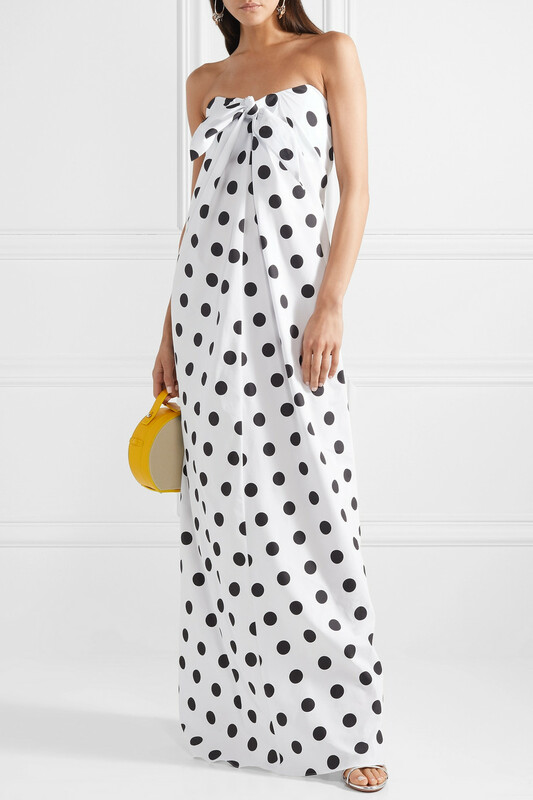 When both Jacquemus and Carolina Herrera (among a couple of others less notable) sent a strong black and white polka dot down the runway last September, I remember thinking it would catch like wild fire. And, then I promptly forgot about it. Until now! A number of gorgeous black and white polka dot options hit the racks last week. 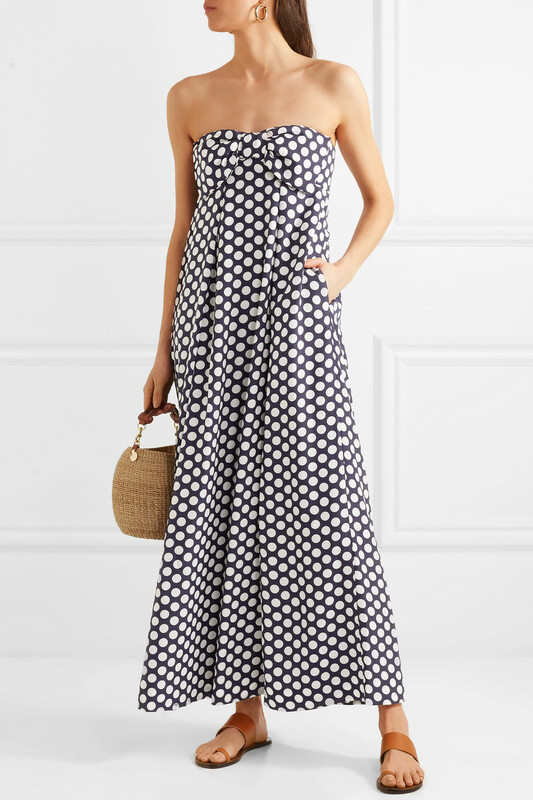 My favorites definitely include dresses by Carolina Constas (a cotton maxi) (I wore a silk, black-and-white stripe dress made in this same pattern to a ball this Winter and found it to be extremely figure flattering (especially because it has an internal corset to keep the dress in place)), Lisa Marie Fernandez, J.Crew, endless rose, ASOS, H&M, and Saloni, tops by Pixie Market and Topshop, and skirts by Topshop and ASOS. My advice? Drop it with a dollop of yellow (found here, here, here, here, here, and here) and you will Turn This Mother Out. Word. Word. Word.